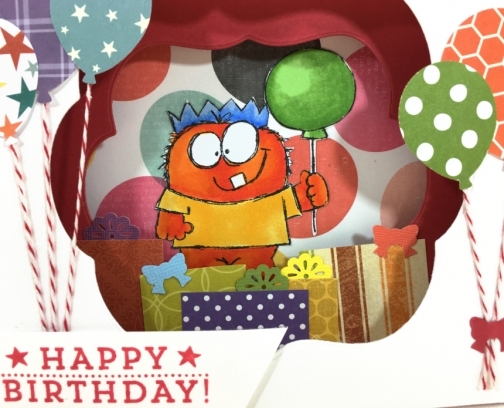 Here's a monster, 3D birthday card for someone! 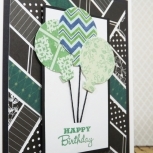 Bright, lively colours celebrate with balloons and gifts. 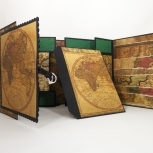 This shadow box card has 3 layers and stands on it's own! It folds completely flat to fit in a 5 x 7, handmade envelope. 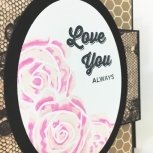 I have included a plain while panel with a stitch-detailed border for you to write a your own message and then adhere it to the back before you give the card. 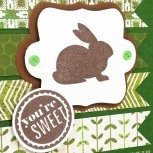 You can use glue or double-sided tape. 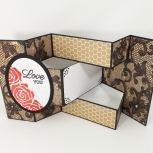 This horizontal shadow box card measures 6.25 by 5 inches when displayed (roughly 16 by 13 cm) and comes with a hand made, self-adhesive envelope, with a shop label sticker on the back.